I'm helping a friend move a 1924 Dodge Business Sedan from Missouri to Arkansas and need to know the weight and width of the vehicle. If someone can provide this info, or point me to a site with specs on this car, I would be most appreciative. Hey, thanks for the quick reply JaD! That's just what I needed. Jan said you have a full floor in the car, if you do would you mind shooting some pictures and posting them? Joe- I'll be glad to post some photos of the floor but it may be a few days. We haven't removed the carpet yet to verify, but from looking at the belly I'm pretty sure the floor is complete and probably original. is there a particular area of the floor or other details you're needing? It would be awesome if you took pictures of it with the carpet in it so I have some visual reference. I have already done 95% of the wood work in my 24 business sedan but I didnt really have a lot to go on when I started so the floor pictures would be more for anybody who was in my position a month ago. I would also like to see how close my guess was. 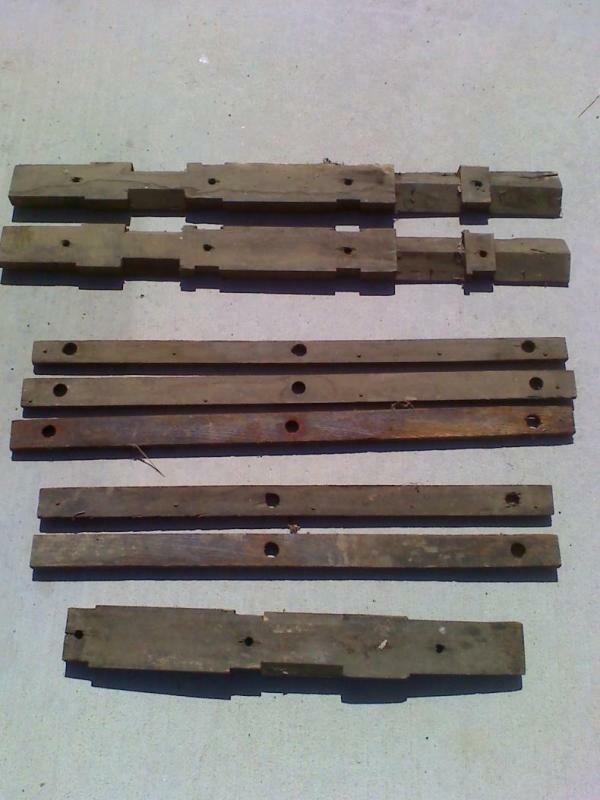 Since it seems that the interior on your car is mostly complete maybe you could help me identify some pieces of wood that were taken out of the car by my grandpa. I will post the picture down below. The group's guess is that they were in the structure of the back seat somewhere, maybe you can confirm this for me. There is a lot of information in the 24 touring interior thread (I didnt know what model I had originally) lots of photos and lots of expert info. If I can help you with any questions or pictures dont hesitate to ask, I am new at this but am trying to soak up everything as fast as I can and maybe can help you.